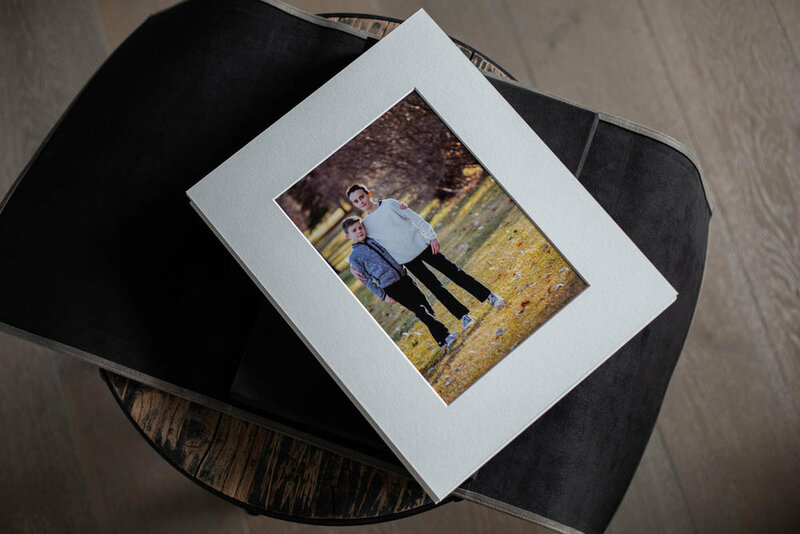 Albums are hand made in Italy and customized to fit the look and feel of your home. 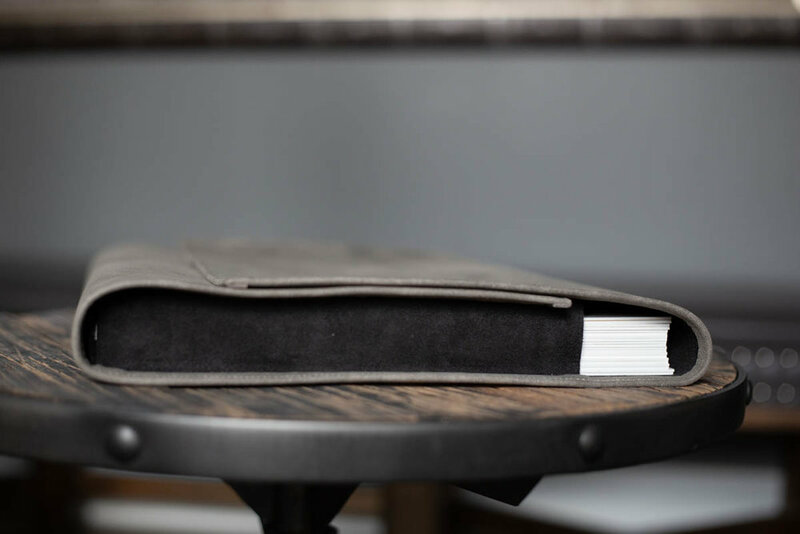 From traditional leather, cloud leatherettes, suede and high end linens you’ll find the perfect look to fit your style. I have samples and will assist you so you get the album and colors that you love. I take the stress out of creating your album by providing a sample layout and delivering a proof to review and approve. Almost every client leaves our studio with an album. 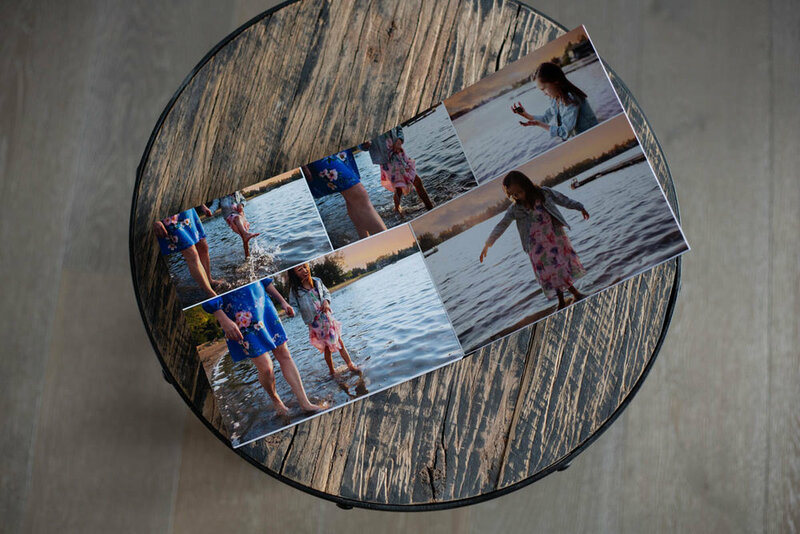 It is the perfect way to preserve every single photo that you love. 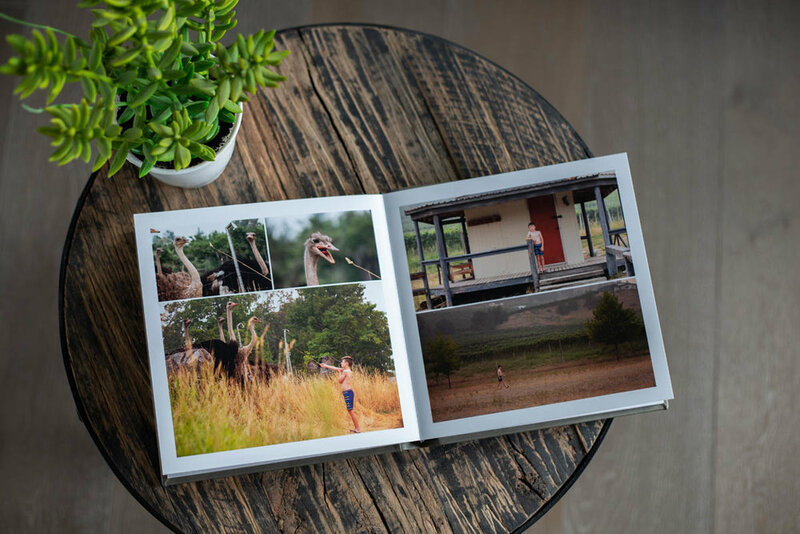 More than a book of photographs, it’s the story of your family. Raising a family isn’t all unicorns and rainbows - it’s tough. And the kids grow up too fast. The custom wall art allows you to enjoy what you love most about your family every single day. 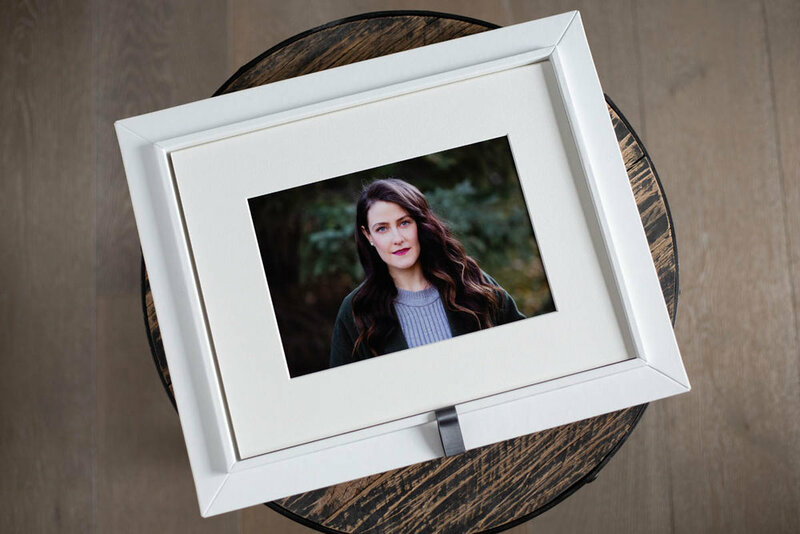 There are many framing options to choose from. 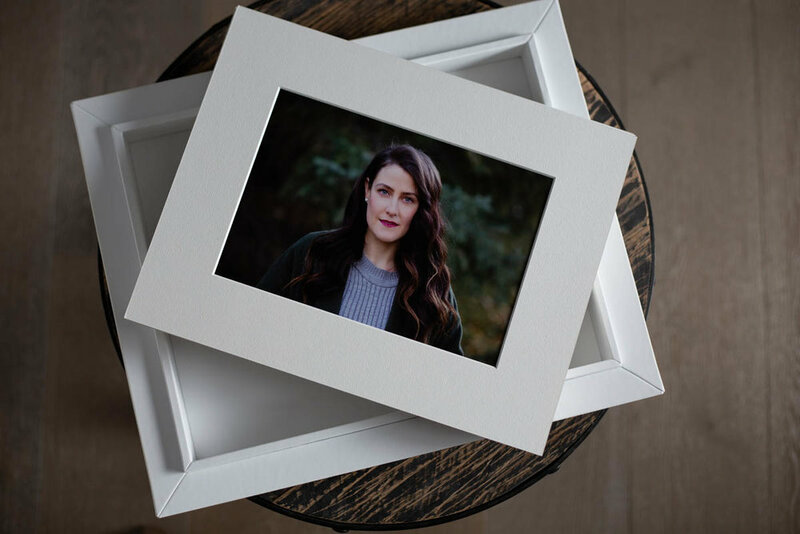 I can come to your home to help you lay out the perfect photo wall. You do not pay any additional fees for frames. I pass on the direct cost of the frames to you without any markups. 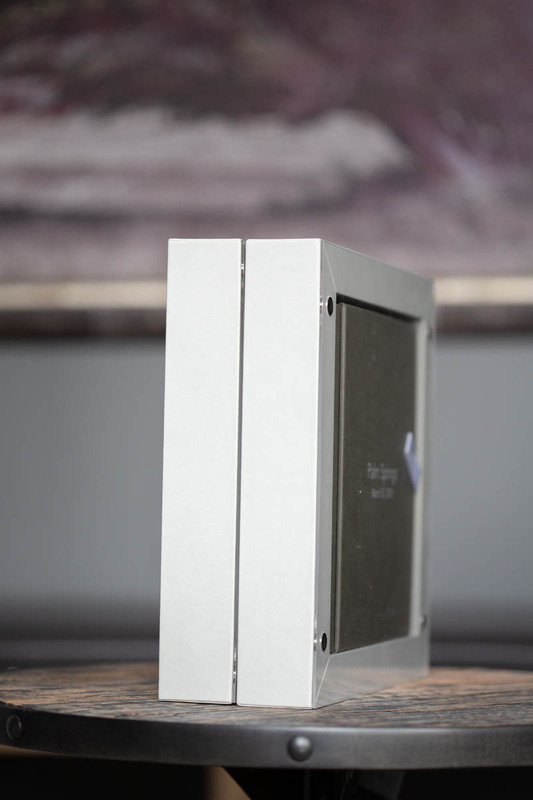 A beautiful hand crafted Italian reveal box that stores your collection of wall prints. Each image is printed as a 7 x 10 image on lustre acid free paper and individually matted in a white 11 x 14 mat. Display them in the reveal box, changing out the images as you wish. Your prints are also ready to be put in frames and displayed on your walls. 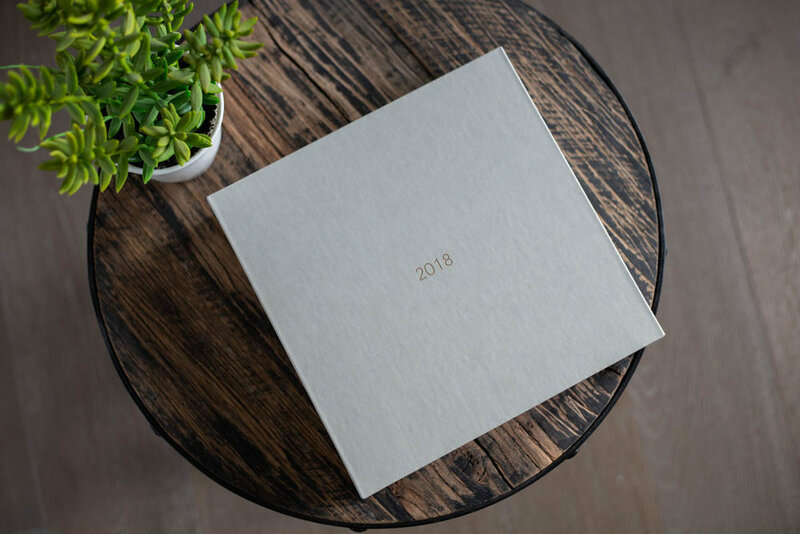 The reveal box can be filled each year with images you want to preserve and love forever. The jewel box is 8 x 8’ in size and can hold up to 50 (5 x 7” or 7 x 5” prints). The box comes in a cloud leatherette with a transparent lid with a sateen ribbon. 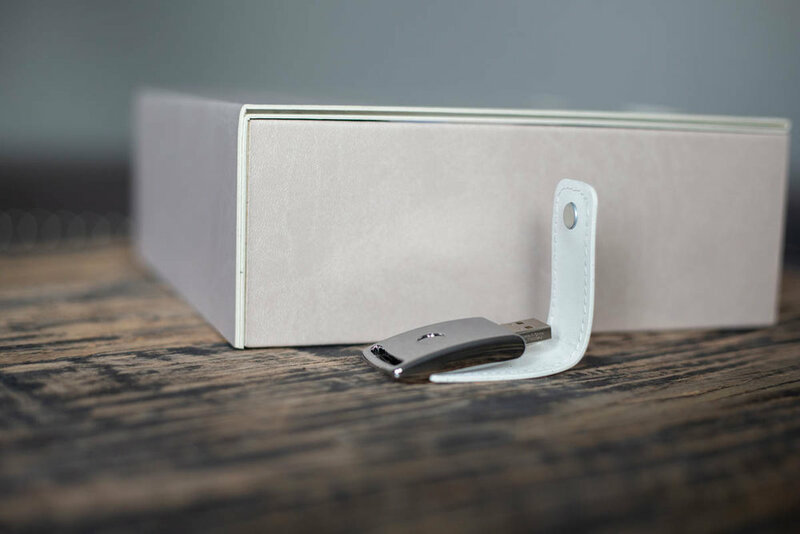 The Jewel box is available with an 8 GB USB drive to store your digital images. A beautiful hand crafted Italian portfolio that stores your collection of wall prints. This is a great option if you do not want to have your images on display as the portfolio can be closed. Each image is printed as a 7 x 10 image on lustre acid free paper and individually matted in a white 11 x 14 mat. Your prints are also ready to be put in frames and displayed on your walls. The portfolio can be filled each year with images you want to preserve and love forever. Give a loved one a gift that they will love forever. It’s a perfect present for any occasion; birthdays, graduations, weddings, anniversaries, Valentine’s day, Mother’s day, Christmas and baby showers. The list is endless. What else do you buy for the person who has everything? Select between $50, $100 and $250 denominations. The gorgeous gift card will be sent to you electronically so you can keep for yourself or deliver it to a loved one. If you would prefer a gift card in the mail please allow up to two weeks for delivery. Your voucher will contain a unique voucher code and a 12 month expiry date. Please ensure you redeem it within this time. The full balance is required prior to the vouchers being delivered. 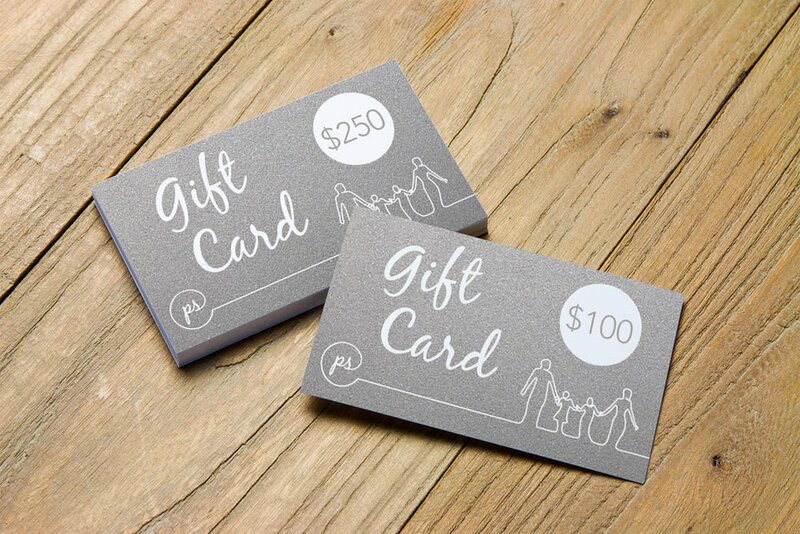 Gift Card denominations come in $50, $100, and $250.